Does Bread Last Longer When Refrigerated? Does Yeast Cause Holes in Bread? 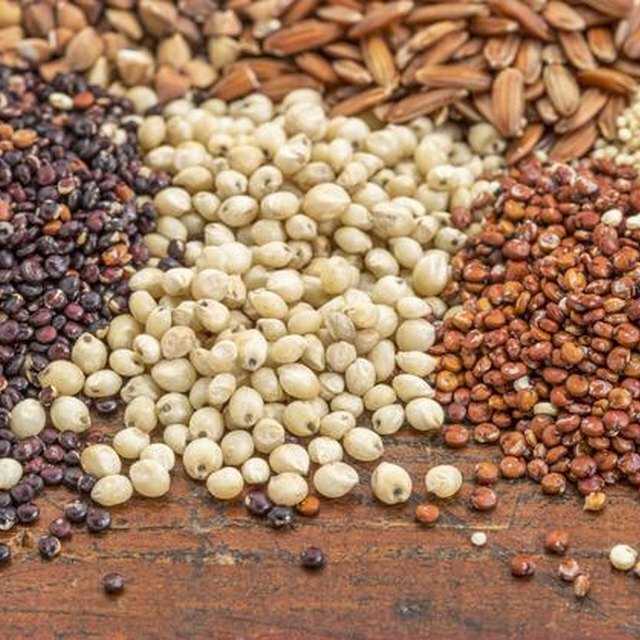 1 Are Ancient Grains Better for You? 2 Does Bread Last Longer When Refrigerated? 3 What Is Viscose Material? The Essenes were a Jewish sect who flourished around the time of Christ. They lived an ascetic lifestyle and practiced vegetarianism. Their staple food was bread made from sprouted whole grains or berry roots, which were finely ground, mixed with water, and cooked at low temperatures in order to preserve the vitamins, minerals and enzymes. Essene bread has become popular in recent years and sometimes includes nuts, seeds, raisins, dates and herbs, which can make the bread more like a moist, hearty muffin. The nutritional content of Essene bread provides many benefits. Commercial bread manufacturing uses only the endosperm of the wheat kernel, which contains mainly carbohydrate and very little vitamin or mineral content. The commercial milling of grain into white flour removes the bran and the germ, which results in the loss of natural fiber and numerous vitamins and minerals. To compensate, bread manufacturers often add back thiamine, riboflavin, niacin, folic acid, calcium and iron. Essene bread, on the other hand, retains all the nutrients from its grains. Sprouted grains, seeds and nuts are high in protective antioxidants. Antioxidants eliminate the by-products of oxidation in the body, referred to as free-radicals, which are thought to be responsible for aging, tissue damage and potentially cancer. In addition to being very digestible, sprouted grains are an excellent source of fiber and plant protein. Fiber slightly expands in the digesting tract, which can produce a feeling of fullness, clean the colon and promote regular bowel movements. High-fiber diets have also been shown to decrease blood cholesterol levels and reduce the risk of cardiovascular disease, according to MedlinePlus. In highly cooked form, wheat can cause mucus congestion, allergic reactions and constipation in some people. 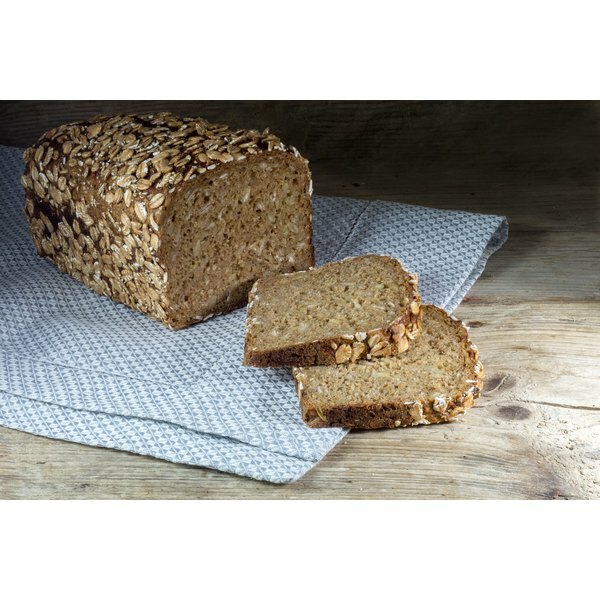 However, within sprouted wheat, the starch is mainly converted to simple sugars, which often allow wheat intolerant people to eat Essene bread with far fewer problems. According to “Nutritional Sciences,” sprouted grains also break down the lectins that some people are sensitive or allergic to. Does Light Affect How Long Bread Will Keep?